Another great success for the Somalilanders in diaspora has been reported as the Flemish Parliament welcomed Edna Adan and others to their latest meeting of the SSE during which a new leadership was elected. Somalilanders in the Diaspora never had it so well. The success of the Washington DC conference was followed by an equally important and inspiring two day conference on Friday 25 and Saturday 26 May 2012; this time the conference was held in Brussels – the European Union capital was organised by the Somaliland Diaspora Organisation in Belgium and the Somaliland Societies in Europe (SSE). Over all the two days conference was successful. On Friday 25th of May, the first morning session concentrated on the economy – Abdirashid Duale of Dahabshil delivered a presentation about his company’s economic role in the horn of Africa. This was followed by a presentation by SSE members Jama Muse Jama, Mohamed Omer Maigag & Salma Sheikh on the role of Somali language and culture in preserving Somaliland national identity, the role of the Somaliland Diaspora in promoting Somaliland and the role of Somaliland women in Somaliland politics. A rep from Nomad in the Netherlands also spoke about Nomad and its work. The afternoon session featured Presentations by reps from the Flemish Parliament, and speeches by Edna Adan, Abdirahman Mohamed Abdillahi – the Chair of Somaliland’s House of Representatives and Abdiqadir Jirde – MP Somaliland House of Representatives. The presentations covered human rights, peace and security, health, state and modernity, the history of Somaliland and its current parliament. As recognition of his contribution to the development of the SSE and to Somaliland, a certificate of recognition was awarded to Eid Cali Salan; the former Chair of the SSE. The Wadani political Organisation wrapped up the conference with a meeting for their member which was well attended. For me the highlight of the conference was the high profile speech delivered by Edna Adan on the history of Somaliland as she passionately and convincingly sold the cause of Somaliland to the Flemish Parliament reps. another highlight was the acknowledgment of the reps of the Flemish Parliament about the achievements of Somaliland and their sympathy for our cause. Somaliland has a new ally in Europe; the Flemish people are new friends we have gained. During, the question and answer session, I have joked with the Flemish reps to make a deal with Somaliland. The deal was for the Flemish Parliament to recognise Somaliland if they get their independence from Belgium and For Somaliland to recognise the independence of the Flemish people if Somaliland gets its recognition first. We did not spend the whole two days conferencing – we had an opportunity on Saturday night to take part in a Somaliland party for the conference attendees and enjoyed performances by key Somaliland stars including Himilo and Nassir Cujuf. I and the rest of my colleagues from London, headed back to the UK on Sunday 27th of May, on our 17 seater mini bus, dubbed ” baska Qaranka” fully inspired and energised and ready to continue our campaign for the recognition of Somaliland. 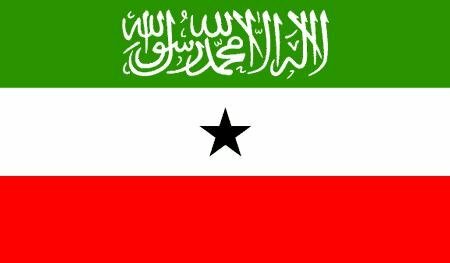 Recognition or no recognition, Somaliland is here to stay.